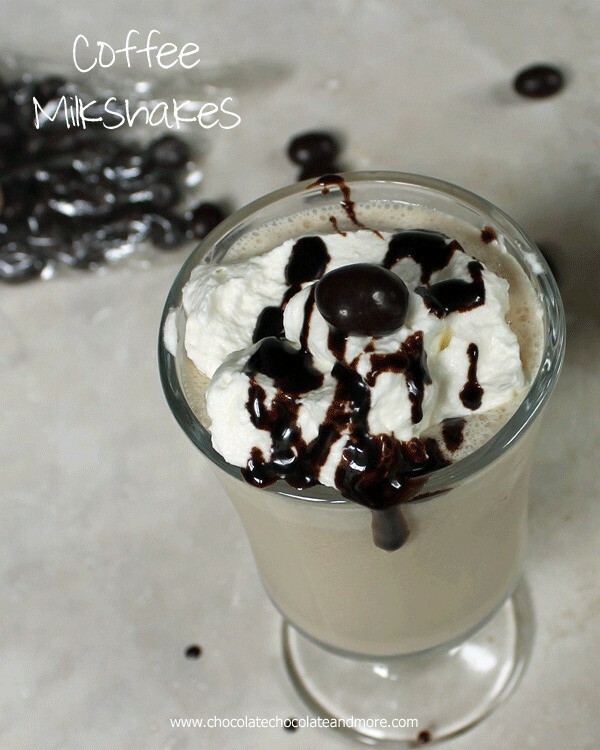 Kahlua and Cream Milkshake - Chocolate Chocolate and More! 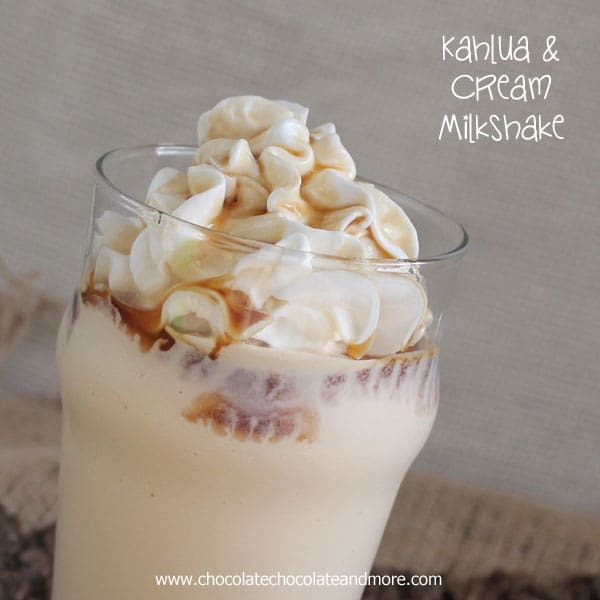 Kahlua and Cream Milkshake-for adults only! I’m not a big drinker. I got my drinking days out of the way early on. I realized quickly, that most alcohol will give me the worst hangover, even after only one drink. The exception to that, is Kahlua and Cream. I don’t know if it’s the fact that this drink is more cream than alcohol, but I can drink it all night long and the next day, I’m ready to go. And it’s just so yummy! It tastes just like a milkshake. And then it hits me. 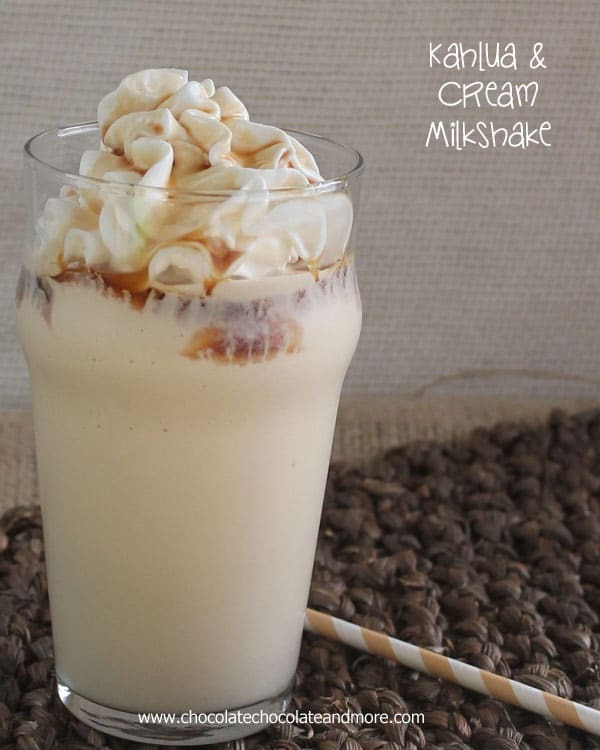 Why not turn it into a milkshake? I truly enjoyed sipping on this, on the back deck, with a good book in my hand. It was the perfect spring day. That was my excuse for having this at 3 o’clock in the afternoon. I suspect, my next excuse will be something like, I folded all the laundry, I deserve it. Or it’s Friday, or Saturday, or Sunday afternoon. Don’t worry. I’ll come up with lots of excuses. So will you once you’ve had your first taste of this milkshake! 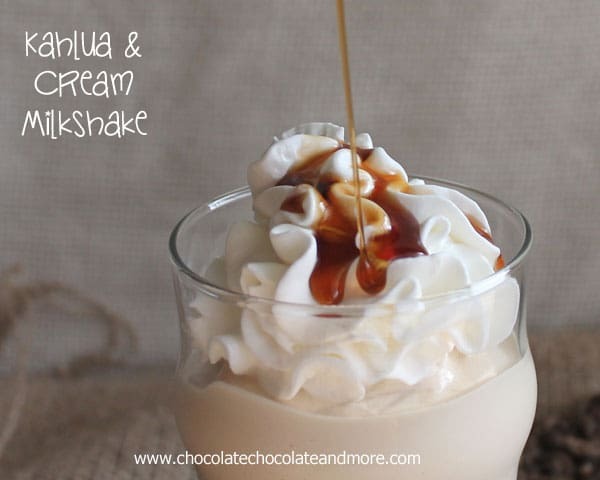 Place Kahlua, ice cream and cream in a blender. Blend until completely mixed. pour into glass. 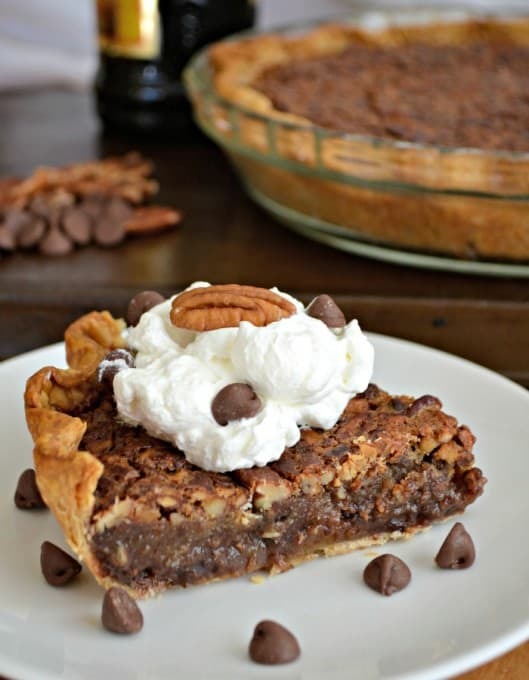 Top with whipped cream and a tablespoon of Kahlua if desired. You may need to adjust measurements to the size of your glass. Is there a substitute for Kahlua?pls let me know what I can use instead. 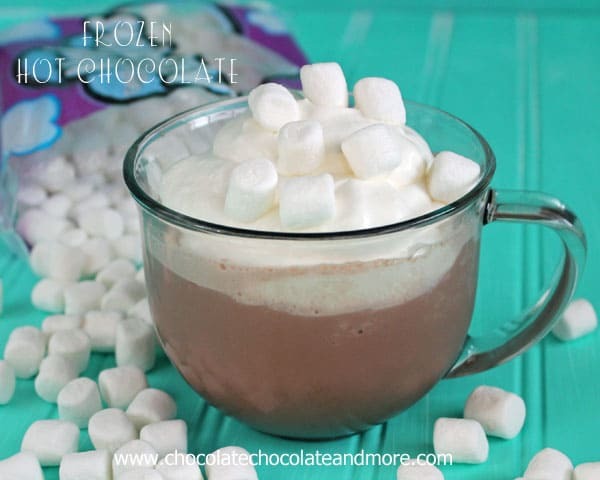 Baileys would also be wonderful in this or a chocolate liqueur. Frangelico is hazelnut flavored liquor. Chambord is raspberry flavored liquor. Amaretto is almond flavored liquor. I bet all would be delish…they even sell a butterscotch flavored liquor as well. 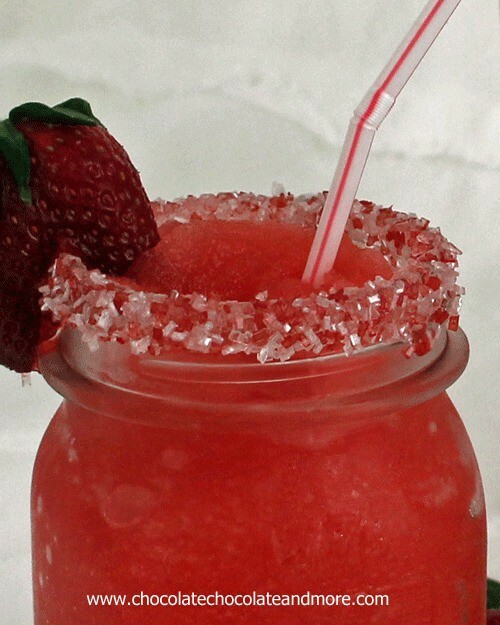 A restaurant in town serves a frozen drink similar to this and it’s my all time fav, I have to have one everytime I go! Have a great weekend! 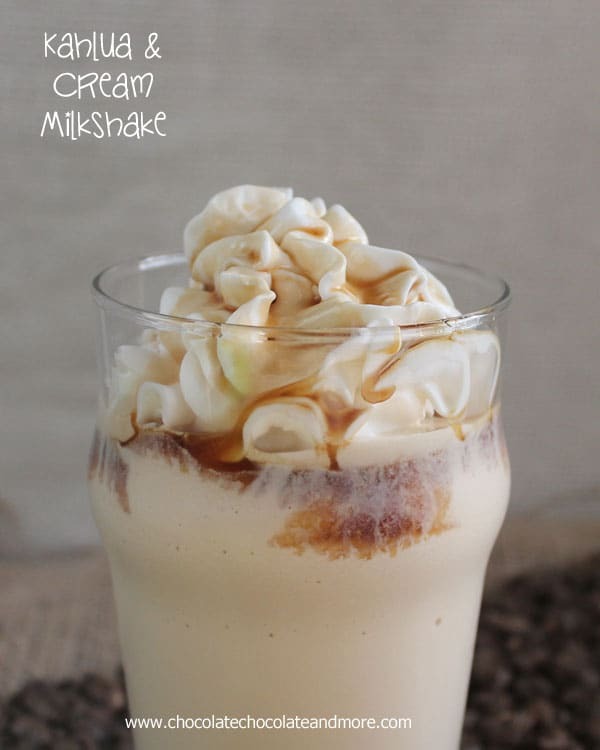 This milkshake looks absolutely incredible! Gosh I would love this right now! Pinning! My favorite drink is the Brandy Alexander! It is almost like your’s but without ice cream I could also drink them alnight long I usually have 2 they go down so nice ! by cream, do you mean the whipping cream that comes in a small carton? No, for the cream, I’m talking about whipping cream, found in the milk section. I too am not a big drinker. Have you ever tried coconut rum? No hangover with that for me. So good!!! Don’t know how much would be the limit cause I really DON’T drink much, but thought it worth mentioning. I’ll have to find some and try it, thanks for the tip!